Russian Vice PM Rogozin posted the footage of the Ka-62 test flight on Twitter, congratulating the engineers and test pilots. The Ka-62 is a multipurpose helicopter based on an experimental military model, the Ka-60. The helicopter is designed to carry up to 15 passengers or 2.5 tons of cargo. It can be flown in harsh conditions, namely at sea and in the mountains, as well as in hot and wet climates. 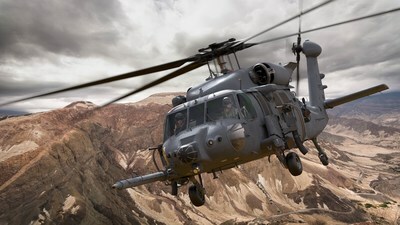 Modern polymer materials amount to 60 percent of the helicopter’s mass, which makes it lighter, faster, more maneuverable and durable, as well as reduces fuel usage. Serial production of the Ka-62 is expected to start in 2020. “It’s a next-generation, entirely digital communication complex. It provides a constant link between pilots and ground services at multiple frequencies, as well as constant emergency signal reception,” a Roselectronica representative told reporters at the HeliRussia-2017 exhibition on Friday. The Ka-62 helicopter might also get a specialized sea variant to be used on helicopter-carrying vessels. The full-scale mockup of this variant has a folding propeller blades and tail section to fit into the tightest hangars on a sea vessel, according to the director general of the Kamov rotorcraft manufacturing company, Sergey Miheev. “We created a completely unique helicopter, capable to fill a vast niche [on the market], capable to be used both in military and civil operations,” Miheev told reporters. The second prototype of the Light Utility Helicopter, LUH PT2, made its first flight in Bengaluru on Monday and flew smoothly for 22 minutes, its creator Hindustan Aeronautics Ltd said on Tuesday. The flight was described as free of any snag. The three-tonne-class LUH is being developed as a reconnaissance and surveillance vehicle for military and civil users. HAL said it expected to freeze the helicopter's design by the end of this year. After necessary certification, it would manufacture it along with its components at its facility coming up in Tumakuru. Towards that, it was improving the flight envelop or range of PT1 and would conduct a few more test flights of the two versions in the coming months. The second prototype has a modified tail boom and other improvements over PT1, which first flew on September 6, 2016 and later during the February Aero India 2017. HAL CMD T. Suvarna Raju called it a part of their Make in India campaign in rotary and fixed wing aircraft. When ready, the LUH is designed to fly 350 km at a speed of 220 kmph; it can reach a maximum height of 6.5 km and carry a payload of 400 kg. Chief Test Pilot Wing Cdr (retd) Unni K. Pillai and Test Pilot Wing Cdr (retd) Anil Bhambhani piloted the helicopter. Marenco Swisshelicopter (MSH) has announced the official signature of a launch customer contract with Tronrud Engineering AS from Norway. The Swiss-made single-turbine SH09 helicopter will be based in the Eggemoen Aviation and Technology Park, 60 kilometers North-West of Oslo, Norway. Tronrud Engineering AS will operate the SH09 as a company helicopter and as a utility and logistics vehicle that will support the development of the industrial park. The multifaceted Eggemoen Aviation and Technology Park is the only one of its kind in the country, offering exciting opportunities for industrial development. Spread over a total area of 230 hectares, the industrial park employs more than 300 employees, with high technical competences — both at national and international levels. Today Eggemoen Aviation and Technology Park is home to a diverse and innovative business community ranging from small to large-scale establishments in advanced and sensitive high technology. The park operates with its own airport and benefits from a direct access by road and train. The MSH team is proud that the SH09 helicopter has been selected as an entire element of the park and airport’s networking tools where the aircraft will improve the needed connectivity to the region. Tronrud Engineering AS has been a helicopter pioneer and operator since the 1970s. Its initial interest was materialized while signing a letter of intent at HAI Heli-Expo 2014. “The progress achieved in the past years with the engineering and assembling of two flying prototypes, with a third prototype due in summer 2017, and with the overall maturing of MSH as a company, were the factors that lead to the decision of entering into a firm agreement,” said Olav Tronrud, CEO. HARBIN, May 18 (Xinhua) -- The China-developed Z-19E armed helicopter made its maiden flight Thursday in Harbin in northeast China's Heilongjiang Province.